You’ve no doubt noticed that modern hearing aids come in a wide variety of shapes, styles, and sizes. In the attached video I present a 5 minute overview of the high points and low points of each style. Just as the title would suggest, a BTE hearing aid sits behind the ear. It carries sound through a rubber tube into a custom made ear mold. This has historically been a favorite for users with many frequencies in the severe-to-profound range of hearing. PRO: Very high powered. Great for more severe loss. PRO: Large enough to accommodate manual features like volume control and program change. RIC or RIE have become a industry and consumer favorite alike in recent years. 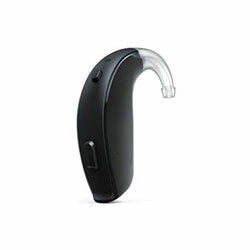 The RIC is similar to the BTE in that the hearing aid is behind the ear. Unlike the BTE, the speaker, or receiver, is attached to a thin wire and located inside the ear canal. These can often offer the most advanced technology options, such as greater wireless or bluetooth capability. 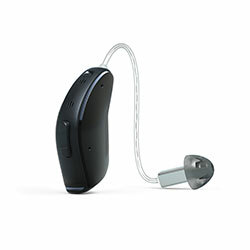 Last year, GN Resound introduced the worlds first Bluetooth hearing aid (shown above). The Linx (and now Linx2) hearing aids can be paired directly with your smartphone or tablet. Check back for a full post and video on smart device use with hearing aids soon. “Universal fit” hearing aids may sound like the inferior option vs a custom made device. In reality, having the ability to choose between many different universal earpiece options can provide the specialist a whole extra degree of flexibility while tailor fitting to your specific comfort and hearing loss. These may be what you think of when you think traditional hearing aids. 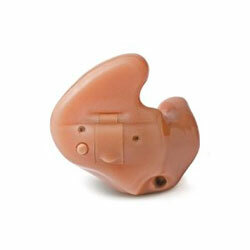 Custom hearing aids are built inside a plastic shell that is molded into the shape of your ear. These vary greatly in size from the tiny invisible in the canal (IIC), to the slightly larger and more visible completely in the canal (CIC), all the way up to our large full shell in the ear (ITE) device. PRO: larger custom hearing aids are very easy to insert and work making them an ideal choice for those with poor dexterity. Remember that bigger custom units will offer more power and features, while smaller units will offer greater cosmetic appeal, but less power and features!